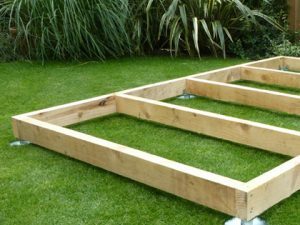 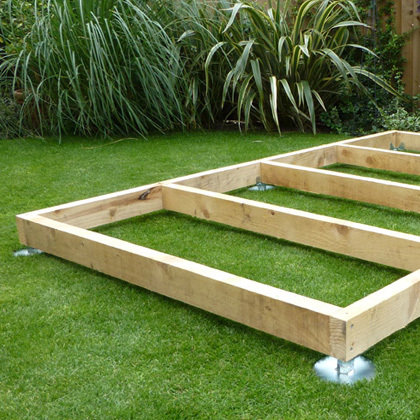 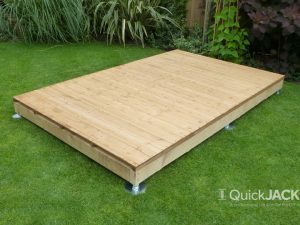 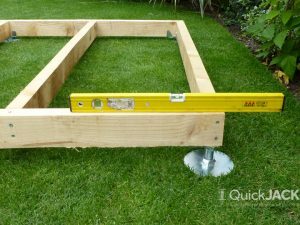 Our adjustable garden base kit is an easy-to-fit adjustable base foundation system for all sizes of garden building and decking areas. 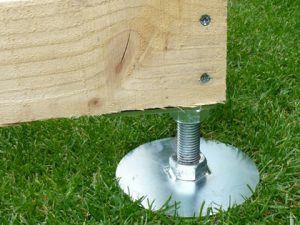 The adjustable base offers up to 8 inches of adjustment on ground that is out of level. 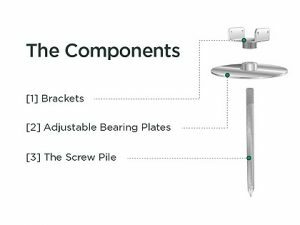 Download the fitting instructions that come with each QuickJACK pack. 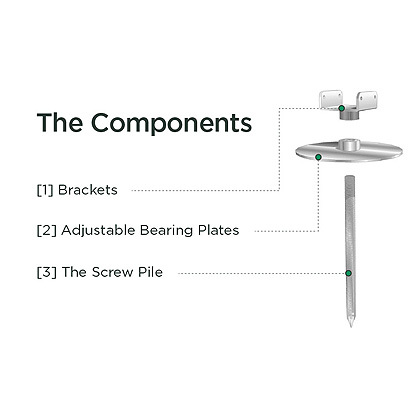 Download the breakdown of what is included in this kit. 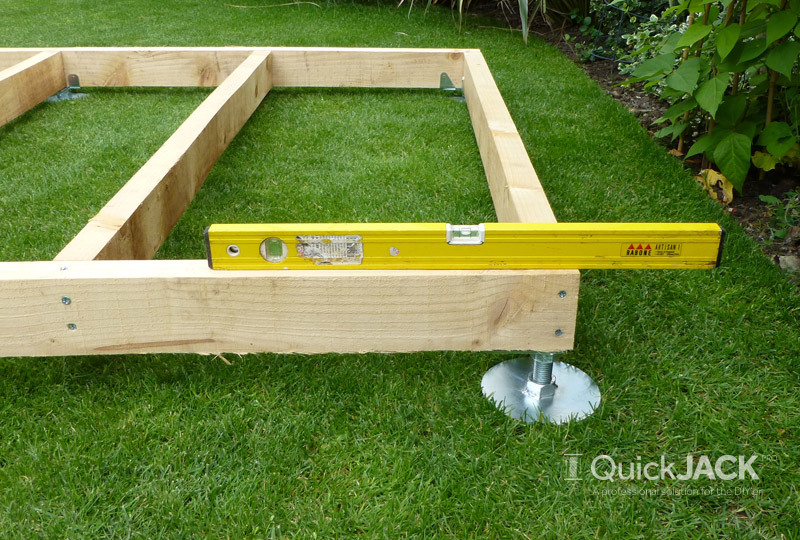 Download examples of QuickJACK Pro in use. 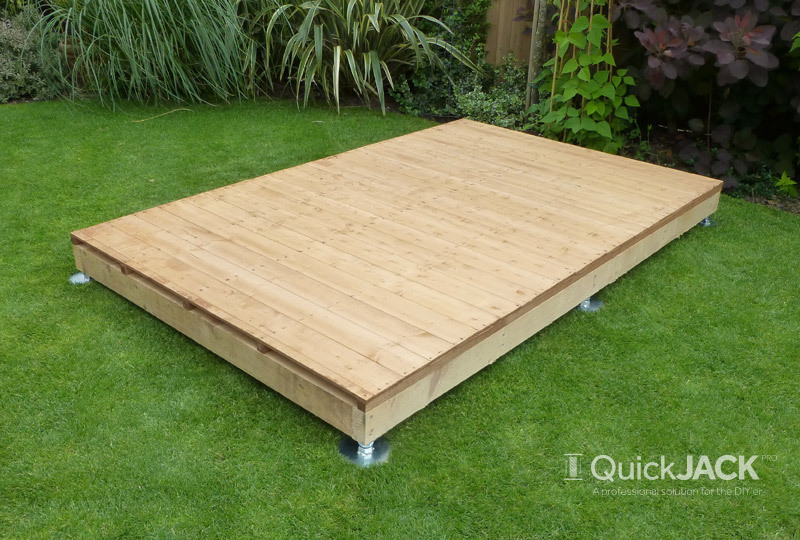 Fantastic system fitted and levelled base in less than one hour ! 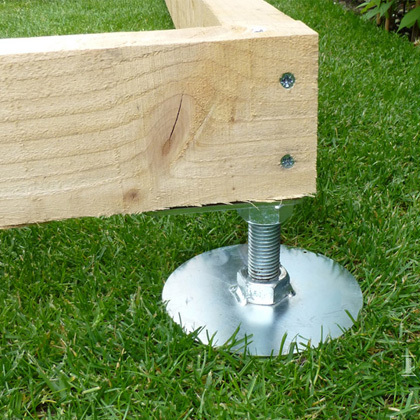 Very good product and an easy alternative to concrete.